There’s a lot to be said for travelling in October. You skip the busy season, and all the inflated prices and beaches full of pasty Brits that come with it. While the masses sink back into normality as autumn rolls around, you’ll be cashing in those saved-up annual leave days and jetting off to sunnier (or at least more exciting) climes. But where to go? That’s where we come in. We’ve worked our way through thousands of flight searches to reveal the best October holiday destinations. Intrigued? Read on, get some vay-cay inspiration and then search for flights on Cheapflights.co.uk. Abu Dhabi is our long-haul budget winner for October, with median flight prices sitting at a reasonable £389 return. It’s one of the best times of year to visit, with temperatures floating around 29 degrees Celsius – which, let’s face it, is far more bearable than the sweltering summer heat. 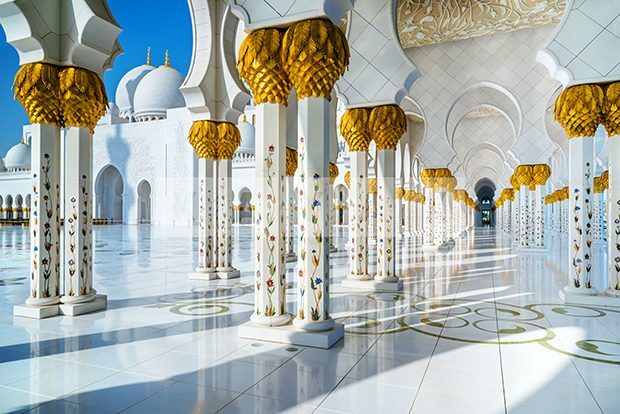 Along with the modern architecture and glamorous beaches that one would expect from this part of the world, the UAE’s largest Emirate is garnering a reputation for its impressive galleries, museums and cultural attractions, including the Grand Mosque, the Salwa Zeidan Gallery and the first Louvre outside of Paris, which opened in November 2017. It’s clear from our data that this year is Macedonia’s time to shine. 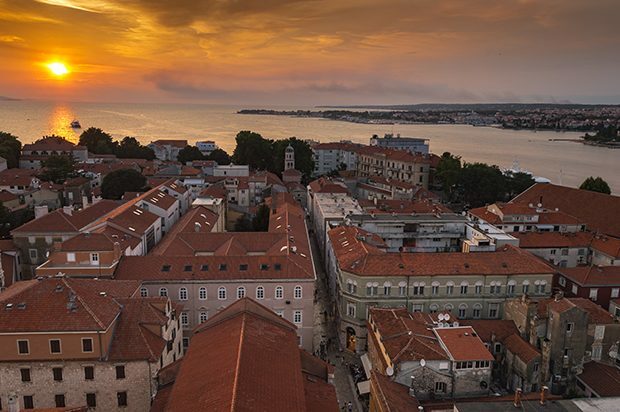 Flight searches to this small Eastern European country are up 41% and it’s easy to see why. Although still fairly off the beaten track, those in the know are drawn in by dreamy images of Ohrid Lake and the surrounding scenery. 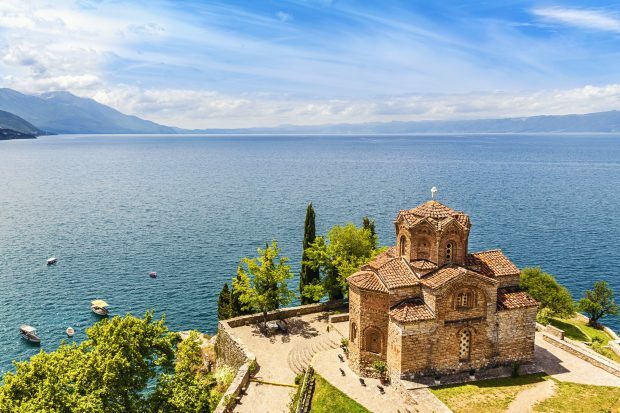 If you get just one picture while visiting, make it one of the Church of St. John at Kaneo, which overlooks the aquamarine waters of Lake Ohrid. Beyond the terracotta-hued roofs of Ohrid, you’ll find pristine national parks that are great to explore during the region’s low-season. You may just feel like you’ve got the scenery all to yourself. 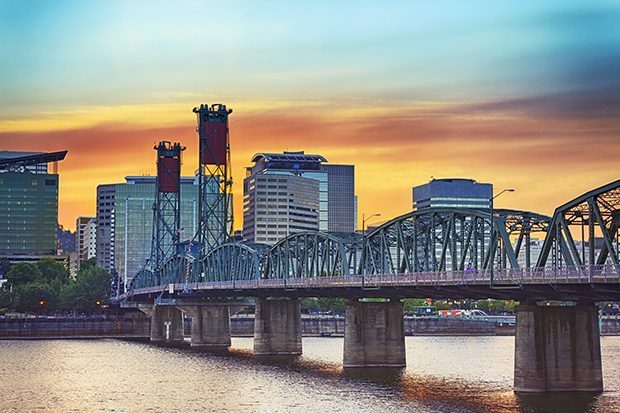 It seems pretty fitting for Portland to be a trending destination, being one of the most vibey cities on the country’s West Coast. Flight searches are up 13% to Oregon’s largest city, with savvy travellers skipping the likes of San Fran to get a feel for this city’s hipster vibes. You could easily while away your time here like a local – sipping fancy flat whites in a local ‘coffee roastery’ (yeah, we know…) or knocking back craft beers and tucking into vegan burritos. But if you’re looking for more, the surrounding countryside is stunning and will certainly bring out your inner lumberjack. Plus, Portland itself is loaded with museums, galleries and gardens to explore. 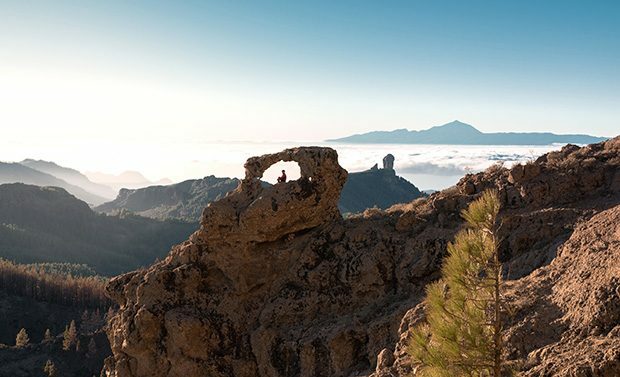 Gran Canaria gets our pick for October sunshine with average temperatures sitting around 26 degrees and almost no rainfall. Sun seekers will probably be happy to park themselves in a sunlounger on the coast for a week or two, but those looking for more can head inland to explore the island’s volcanic terrain, sand dunes and historic attractions, such as the Cueva Pintada Museum, which is home to Paleolithic cave paintings. Data pulled on 31st August 2018 for round-trip economy flight searches from the UK. Budget destinations selected from searches completed between 1st August 2017 and 31st August 2017 for travel in October 2017. Trending destinations selected from searches from 1st June 2018 to 31st June 2018 for travel in October 2018.